Mayor Kathy Sheehan, the City of Albany Department of Planning & Development, and STIMSON Studio Landscape Architects will host a meeting to present the community with a draft master plan and provide an opportunity to discuss their ideas for preserving and improving Lincoln Park, and to learn more about the master planning process. 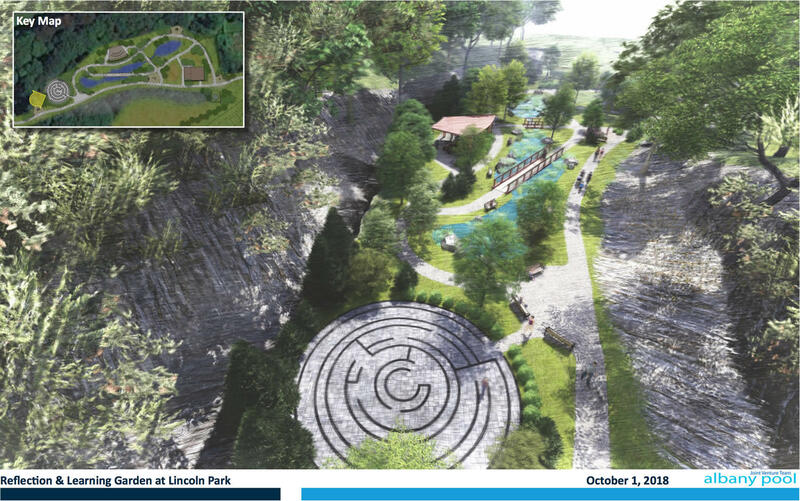 This is an exciting opportunity for residents, visitors, and community organizations to shape Lincoln Park's future and help to prioritize potential projects and initiatives being evaluated within the Park. The ideas presented at this meeting will be based on the feedback provided from the October 9, November 14, and December 4 design input community meetings. 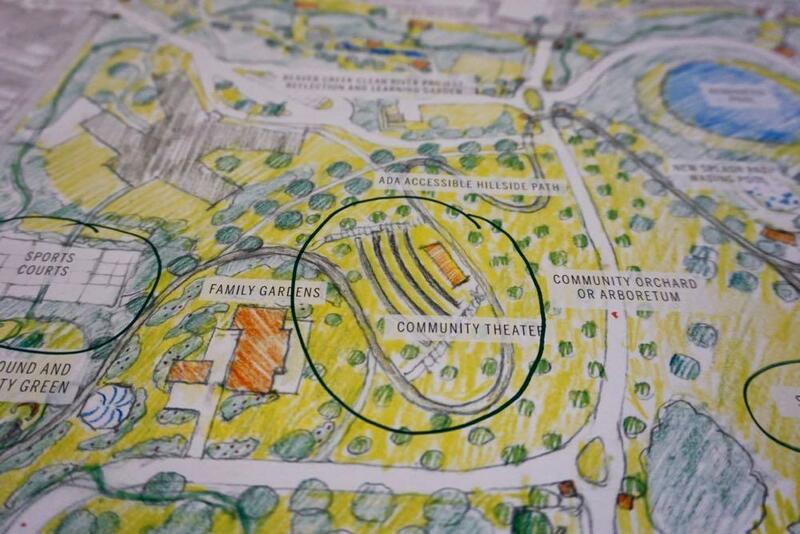 At that December public input meeting, the team from Stimson presented a handful of ideas for the park that seemed to get a warm reception from the crowd, including a new trail around the park, more and better basketball courts, an amphitheater, and a giant slide playground. One of the other big items in the park's future is a probably replacement of aging Lincoln Park Pool. 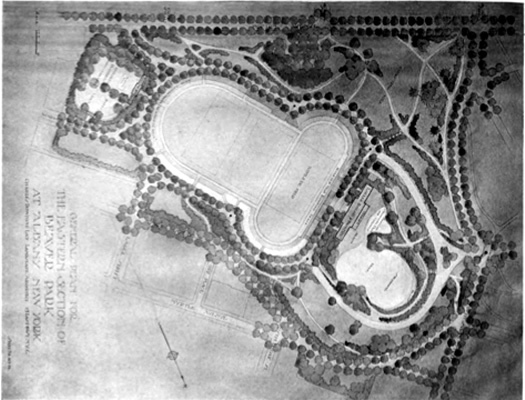 At the public meetings for this master plan, the crowds very much seemed to be in favor of replacing it with something similar to what's there now. And this week the city of Albany was awarded $262,500 by the state to put toward the planning and design a pool replacement. This next Lincoln Park master plan meeting is Tuesday, January 15 at 6 pm in the Thomas O'Brien Academy of Science and Technology (TOAST) auditorium (94 Delaware Ave). If you enter the school from the parking lot off Delaware, the auditorium is right there. 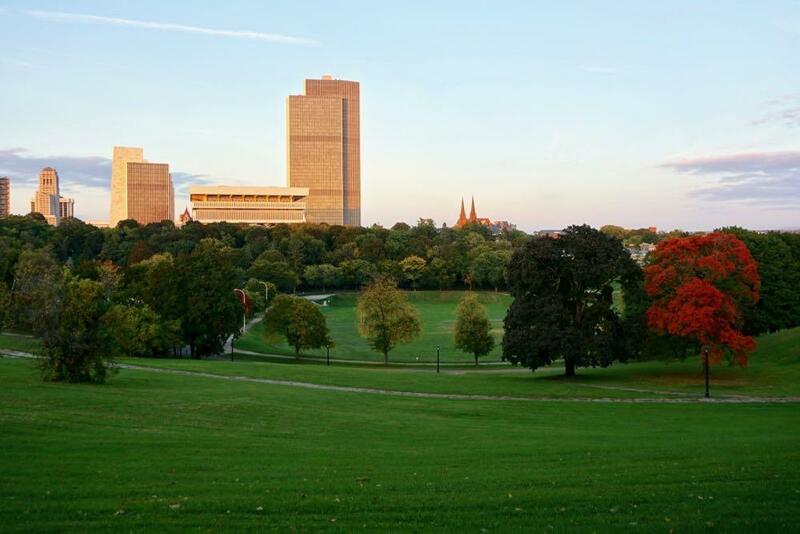 What should Albany's Lincoln Park look like five years from now? Or 10 years from now? Or even 50 years from now? That's the question at the center of the ongoing process to develop a master plan for the city's second largest park. 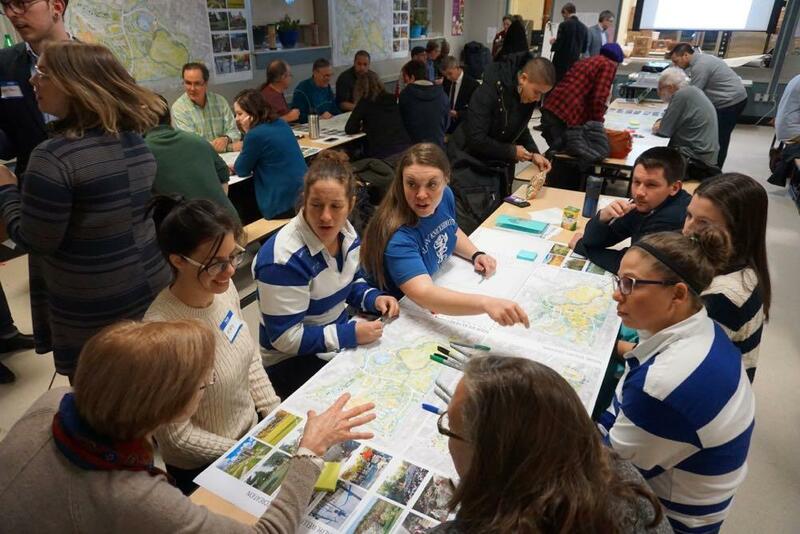 "This is an iterative process, this is about asking you what you want," mayor Kathy Sheehan told the crowd at a public planning meeting at TOAST Elementary Tuesday evening. "And creating a vision for a park that will live on for decades -- and be a vision for the park that reflects the community." From October's public planning session. The city of Albany has another public meeting coming up to talk about the future of Lincoln Park. 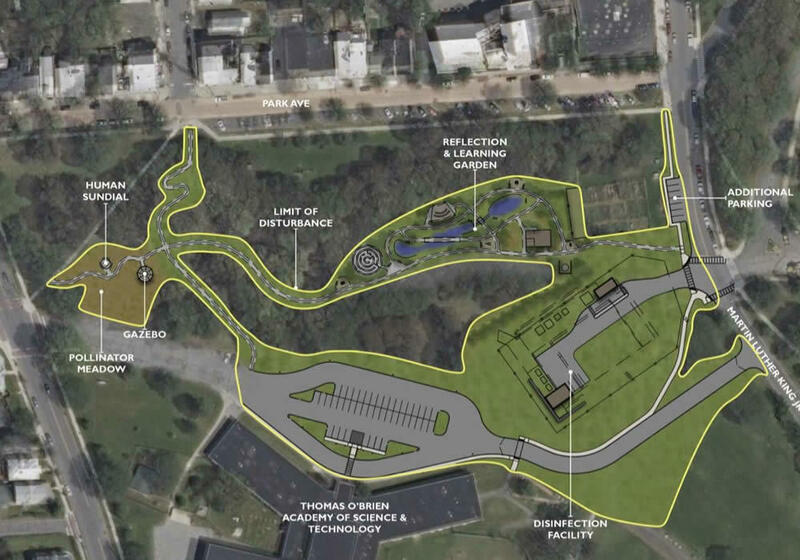 City officials and the consultants working on a master plan for the park will be at the Thomas O'Brien Academy of Science and Technology (TOAST) December 4. This is a follow-up meeting to two meetings earlier this fall to gather input about the future direction of the park. Among the ideas that came up during a meeting at Hackett Middle School in October: better neighborhood connections, better walking paths, better lighting, improved fitness facilities, a new playground, more attention paid to landscaping, more winter activities, maybe a dog park. 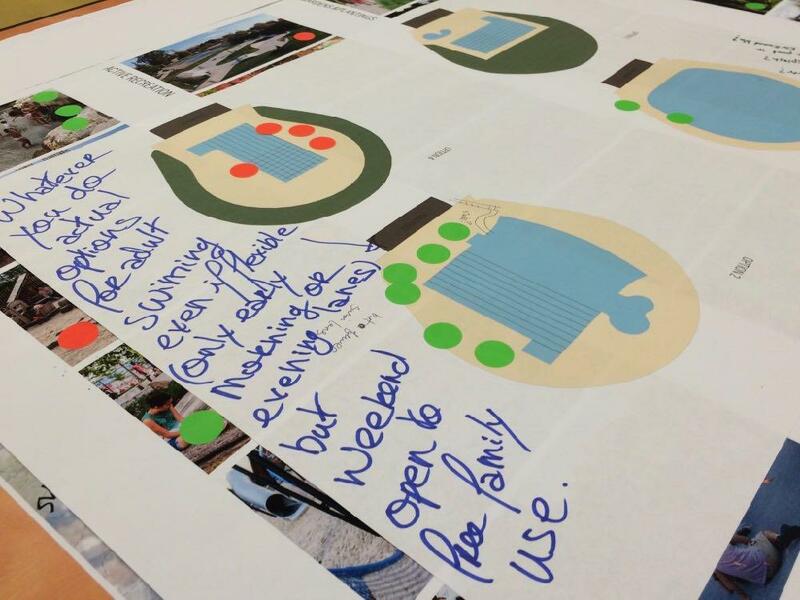 Another topic at the meeting: People's preferences for the shape/type of the next Lincoln Park pool. This public meeting is Tuesday, December 4 in the cafeteria of TOAST (94 Delaware Ave) at 7 pm. A reminder that the next public meeting for the Beaver Creek Clean River Project -- the sewer facility / public garden project planned for the Beaver Creek ravine in Lincoln Park -- is this Tuesday, November 27 at TOAST at 6:30 pm. One of the exercises from the October 9 meeting. The city of Albany is in the process of mapping the future of Lincoln Park, and it's added a second opportunity provide ideas. There will be a public meeting for the Lincoln Park Master Plan November 14 from 5:30-7:30 pm at the Albany Housing Authority Atrium and Community Room (200 South Pearl Street). City officials and the consultants working on the plan will be there to provide an overview and collect feedback. Here's a recap of that October 9 meeting and a bunch of ideas that bubbled up during it. Among the things people said they'd like to see: better neighborhood connections, better walking paths, improved lighting, a new playground, and maybe a dog park. Also at that meeting: Mayor Kathy Sheehan said the city is committed to the Lincoln Park Pool. The pool is old, leaky, and mostly likely needs to be replaced. You could understand if Albany's Lincoln Park feels a little left out. Washington Park gets the events, the tulips, the Instagram pics, the fame. It's the older sibling, the first born, the one who gets all the praise and attention. Meanwhile, Lincoln Park stands not that far away, roughly the same size, with a loved-but-leaky pool, some sports fields, and an overgrown ravine. It hasn't had any sort of official, overall planning done for it in more than a century. That's now changing. 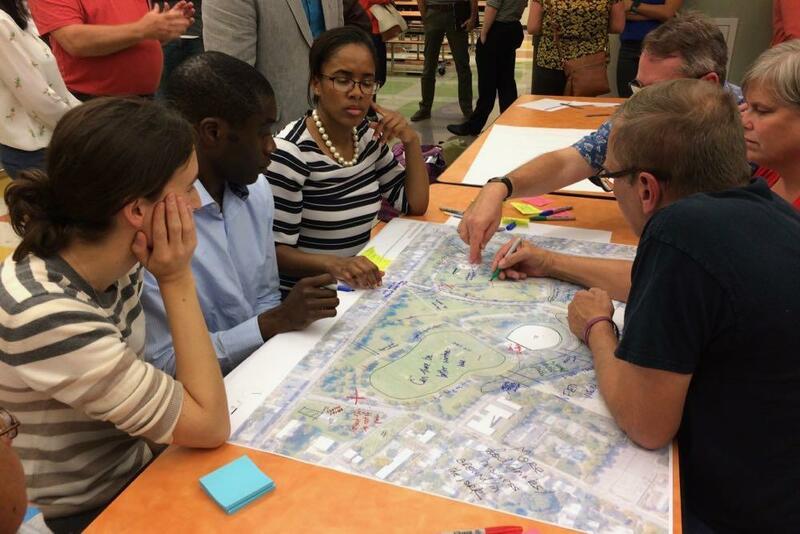 The city of Albany has started a process to develop a master plan for Lincoln Park. And it's brought in a consulting firm, Stimson, to help things along. "It's like no other park in Albany and it's really of a huge scale," said Stimson's Glen Valentine at a public meeting to gather input this week at Hackett Middle School. "And we hope that this will lead to those kind of big ideas because people aren't afraid in this forum to speak whatever they want to do, whatever they think is interesting." Here's another pic that give a sense of the crowds the carnival attracted. What'd they come to see? All sorts of events on ice. There were hockey games, speed skating races, "fancy" skating. And the event brought in stars. Olympic gold medal speed skater Charles Jewtraw and the world record holder for barrel jumping -- Edmond Lamy -- were there in 1927. 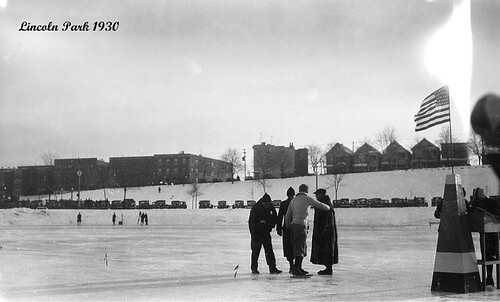 And in 1928 figure skaters Gladys Lamb and Norval Baptie -- "famous for the airplane spin" -- performed for crowds. If winter ever decides to be winter again, Albany should really think about bringing back barrel jumping. Sure, the Washington Park has the Olmstead pedigree, the stately splendor, and a spooky rep as a former graveyard. But the land that became Albany's Lincoln Park has the more interesting history -- a history that includes beer, bricks, borrowing and... the beaver.